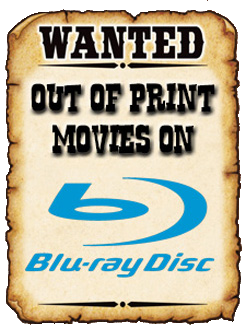 THE B-MOVIE NEWS VAULT: CLEOPATRA JONES, the "Hottest Super Agent Ever," Makes Her Blu-ray Debut! 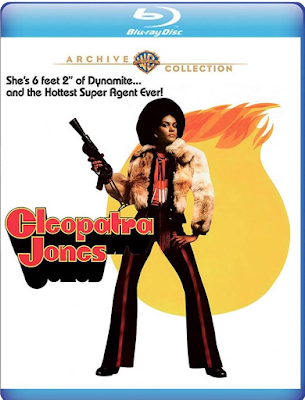 CLEOPATRA JONES, the "Hottest Super Agent Ever," Makes Her Blu-ray Debut! WARNER ARCHIVE COLLECTION BRINGS "CLEOPATRA JONES" TO BLU-RAY FOR THE FIRST TIME WITH A NEWLY REMASTERED HD TRANSFER! I'm still kind of a virgin when it comes to Blaxploitation cinema, but CLEOPATRA JONES is definitely on my list of titles that I need to watch! And seeing as how its now available on Blu-ray, it is only a matter of time before CLEOPATRA JONES AND THE CASINO OF GOLD makes the leap to Blu as well! Synopsis: A Turkish poppy field is torched -and a U.S. drug trafficker known as "Mommy" (Shelley Winters) is feeling pretty burned. She phones the local cops she owns and orders a retaliatory strike on an inner-city antidrug headquarters. Mommy's next call should be to 911. Because now she'll have to mess with Cleopatra Jones (Tamara Dobson). Mommy is relentless in her vendetta – but Cleo responds with catlike karate stealth. (Bong So Hon, technical advisor on BILLY JACK, supervised the karate sequences.) Doodlebug, Pickle, Snake and more of Mommy's offbeat stooges add glide to the story's stride. Their antics, Mommy's chortling sleaziness and Cleo's class shape the power and pizzazz of CLEOPATRA JONES. NEW! HD REMASTER OF THE FILM! CLEOPATRA JONES is currently available wherever Blu-ray discs are sold, and should cost between $17 - $20! Order it from AMAZON, BULL MOOSE, or DIABOLIK DVD and add this blaxploitation classic to your collection today!